I, Marija (Maria) Salapanov Carpenter writing as MJ Markovski began my journey of the fictional story of Whatever It Takes in 2015 after my husband at the time left not only left me but my children. But the journey to writing seriously began in 2009/2010 when I became disabled from a major attack from multiple sclerosis (MS). The doctors thought at that time I would die but here I am. And the worst that had occurred was that I am in an electronic wheelchair for mobility. I view it as God’s way give me more time in writing. I don’t allow my illness to define who I am. In 2010 I completed my master’s in accounting, while recovering. I completed my first modern young adult fantasy novel later that year. Basically, related on Irish mythology and how the ancient race walks among us. My daughter had just graduated kindergarten that year. And now she’s on the brink of finishing up her sophomore year in high school. And she is brilliant not only in science but in English as well. I recovered quickly which had given me the time to write. And I had chosen young adult because teenagers are fearless, shy exploring the world of trying to become adults and fantasy because you can bend the rules within reason. The title to that book is Not Dark Enough. A year later I wrote another young adult fantasy titled Worse Than Bad. I would take writing courses in between to sharpen my craft. While writing my first novel, Not Dark Enough, I did find a critique partner who I still have currently. And I’ve written a couple short stories along the way. Have some ideas for other stories to create in the background. But always trying to find more time to write. “Her heart dropped heavy like a brick. He wore a black -shirt, loose black slacks, and black boots. His eyes were dark with a tight smile. In a nutshell I do love to create great stories that explore characters and their origins. Which is why I love to write complicated stories. On the surface Whatever It Takes is a Romantic Suspense/Thriller on the surface but it delves much deeper than that. The mind is such a complicated machine that even today we are still scratching the surface to understand the brain. Which was no surprise in my part what I would pick that genre as a storyteller. 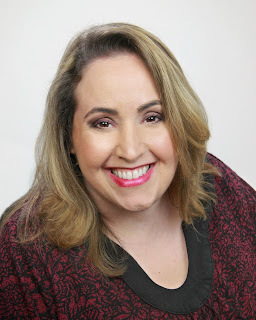 Thank you for allowing me to be your guest on your blog. It has been my pleasure. More than five years had passed since Regan last walked into her brother’s rank and musty service open garage in Parker, Texas. Her stomach jittered at the manly smells—a mixture of gasoline, WD-40, brake parts cleaner, grease, welding smoke, and tires. Heavy metal pounded from old speakers, nearly drowning out the garage noises of a drill, distant traffic, and the light chirping of birds. It was just another Monday in a town where whispers during summer were as steamy as the day’s barometric reading. And in late June, the temperature climbed high, so those secrets would hang as heavy as a curtain. Her teeth clenched; she’d grown up in Parker and was accustomed to the mind games the locals played. There’s no way she’d have ever come back if she didn’t desperately need her family’s help. But if anyone could tell her how to deal with the mess she’d left behind in New York, how to navigate what she’d discovered, it was her brother, Theodore. She just hoped that this surprise wouldn’t blow up in her face. She’d been barely sixteen when she left for a full scholarship at New York University. Five years, after all, was a long time between visits home. She peeked inside the service door, remembering that Theodore had a military mind and kept god-awful early morning hours. Before stepping through, she scanned the dimly lit shop, but she didn’t see her brother. Instead, she spotted a man with sapphire-tipped faux-hawk, standing on a small stepladder, bent over a monster pickup truck. Mr. Faux-Hawk’s shirtless arms displayed a jaw-dropping, hot-flash-inducing art canvas. Corded muscles flexed as he continued to tinker with the engine. When Regan stepped onto the concrete floor of the garage, a chime rang. She observed a tattooed hand move, and with a click of a remote, the tunes lowered to a background hum. “Can I help you?” He lifted his head from under the open hood and propped an elbow on the side of the newly-painted, black and silver frame. Predatory deep blue and purplish eyes bore into her, the long-feathered lashes, making them all the more menacing. Her breath caught. There was something disturbingly familiar about him. “Yeah—yes, I’m looking for Theodore.” Her voice echoed, too loud inside the open garage. She hid her fidgeting fingers behind her and clasped the bronze bracelet that did not quite cover the spidery scars littered from her elbow to wrist. “Who’s asking?” The rolling timbre of rock-on-rock in his voice made her insides curl. He stepped down from the engine. Her lips lifted in a slow smile. “Excuse me?” She was not the swooning type, even if he was dreamy. Okay, smoldering. Thank God she wasn’t tongue-tied around guys anymore. They began a staring contest. His skin glowed like smooth copper. All hard angles and fierce planes, his face boasted a sharp blade of a nose and black-as-the-devil’s-heart eyebrows. Regan gulped as she studied him. Oh, crap. It was Hunter Grainger. Boy, had he changed. But unfortunately for her, he’d only gotten hotter in the time since he’d broken her heart. Her pulse raced. In his presence, her tongue became knotted. “Damn, Regan, you grew into those long legs.” His lips relaxed a bit, and they curved up in one corner. Then he winked. Her smile faded. Warmth flooded her cheeks. From the smug look pasted on his face, he knew she had recognized him. Blinking seemed to break the spell she was under. “Isn’t it obvious?” He had an inappropriate asinine smile on his face and took a slight step back, pointing toward the engine. She blushed hotter if that was even possible. She was not prepared for this. Not at all. She was a fool for not recognizing him immediately. Every girl had been in love with the bad boy, including her. All the things she’d sworn she’d say if she ever ran into Hunter flew from her mind. Here he was, right in front of her as she’d so often imagined, and again she was at his mercy. She’d have kicked her own backside if she could. He finally dropped his work tools back into the toolbox with a deliberate clank, then snatched the rag sitting on top. She waited, but it was all the explanation he intended to offer. In high school, her responses were one or two words. But now she was bolder with her speech and told others her piece of mind. Her choice of clothing reflected her personality—brightly colored shorts that molded to her body paired up with a snug top. He stepped away from the side of the monster truck and strode with confidence toward Regan, rubbed his rag across his neck before he stopped in front of the monster truck. He leaned casually against the front fender, crossed his ankles, and stared right at her, daring her to say something. She had a purpose in coming here and again asked about her brother. “So, where’s Theodore?” Trying to avoid Hunter’s eyes, her gaze went to the high-end Italian sports cars neatly lined in the front to the left of the monster truck. Further back, she could see bays with more cars. Her head snapped back to that damn rag, now clutched between his tattooed knuckles. It drew her gaze to his sculpted chest and downward to his chiseled abs. However, his abs did not hide the horrible scar across the length of his ribs. She didn’t look away fast enough before he cocked his hips toward her. “So, I couldn’t help noticing you were checking out the goods.” He said it with a lazy smile, winding the rag between his knuckles. He did a half twist showing an outline of wings beginning between his shoulder blades and finishing down the back. “Already there. Try again.” He raised one eyebrow and slightly tucked in his chin when her mouth made a small ‘O’ of surprise. He flashed her a smile. She tried to recover by crossing her arms and taking a step back, but she stumbled over a wrench. He grabbed her arm. Had he not, she would’ve fallen. She shivered when he pulled her up close against him. His eyebrows scrunched, and his voice lowered. “Tell me why you came back.” He breathed his words against her face. Dammit. She should’ve worn thicker patting on the cut still healing. It had begun forming a scab on her right side of her hip. She forced herself to keep smiling, to hide her embarrassment. His gaze dipped down and ran back up the length of her body. Her spine tingled, and it felt like it might burst out of her skin. 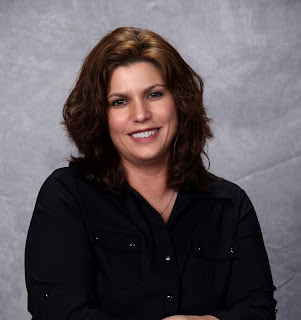 Marija Salapanov Carpenter writing as MJ Markovski was born in Detroit, Michigan to Macedonian immigrant parents, raised very sheltered, and then moved to Arizona for college. Ended up staying in Tucson. Two words to remember her by are tenacious and complicated. 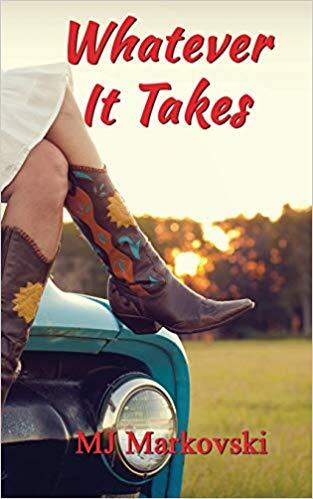 The journey to writing Whatever It Takes series came to her not only in a form of a dream but also when her husband at the time left her and her children. They had been together since she was eighteen. But her journey to writing seriously began 2009/2010 when she became disabled from a major attack from multiple sclerosis. Doctors thought at that time she would Die but here she is, and the worst of it was she is currently in an electric wheelchair for mobility. For now. She views it as God’s way for her to have more time in writing. She doesn’t allow her illness to define her. MJ loves stories that explore characters and origins. It thrills her to get inside their minds and find out what makes them tick. That’s why she loves writing third person limited because it’s intimate. What if on the surface a person comes up to them you think one character views him as granite steel emotions but he truly speaks in his mind is actually passionate and driven but you can’t see that on the outside you’ll find it out till Chapter Five but his actions show it? She loves the weave stories with their theme another fuel for her many books to come forth. Angst, passion, romance, (she’s a romantic at heart but don’t tell anyone that) and suspense/thriller. MJ graduated with her Masters from the University of Phoenix in Accounting. She’s worked with government contractor as a Financial Accountant as well as an advisor for taxes. She ran a small business of doing taxes for family and friends for a while in the early 2000’s then stopped because of the MS exasperation that landed her in the hospital. But when she retained her health, she put that business aside and she began seriously writing. That self-run business reignited her passion in her writing and to help others as well when the opportunity comes to help other fellow writers. I have been reading mysteries since I was in seventh grade. I started with the inevitable Hardy Boys and Perry Mason. At some point I picked up a Nancy Drew. Yeah, I know, teenaged boy reading a book aimed at girls. But I read Little Women, too. And I will admit, in public for the first time, that I cried when Beth died. Over the years I have read all kinds of mysteries, but my favorites have always tended to be the cozies. They involve an amateur sleuth, preferably a woman, who investigates a murder which the police don’t think is a murder. They’re set in a knitting store, a library, a bakery, or some other environment that we usually associate with women. The Hallmark Channel now offers a series of such stories, although I don’t think we’ll be seeing any more of Lori Laughlin’s “Garage Sale” movies. There are an amazing number of these cozy mysteries available today. I may offend some readers by saying that I do not like ones where cats, dogs, or ghosts help to solve the mystery. I had already published several books in a series of mysteries set in ancient Rome when I decided to write a cozy, set in an antique store. Death by Armoire was inspired by memories of my grandfather’s antique/used furniture store in a small town in South Carolina. Maureen Cooper is a ghost-writer, penning books for celebrities. She likes that quiet, below-the-radar life. Then she learns that her ex-husband, Troy, has been found dead in the store, crushed by a large armoire that apparently tipped over him. It’s ruled an accidental death. But someone breaks into the store and goes through the armoire and other pieces of furniture that came from the same set. What were they looking for? Was Troy’s death really accidental? As she tries to answer those two questions Maureen uncovers secrets about her family and her hometown that change her whole outlook on who she is. She has a dog, Pepper, who was Troy’s support dog, but he offers no help in solving the case. When I was finished with the book I wasn’t looking forward to the whole process of finding a publisher. It can take a couple of years to get through that ordeal. I’m lucky to have an excellent publisher for my Roman mystery series in Perseverance Press, but they’re small and did not have room for another title in their list. I decided to do something I’ve often criticized people for: I self-published the book. It had gone through the vetting process of my writers’ group and a friend who is a free-lance editor, so it wasn’t as though no one had worked on it. Once the book was published, I saw a notice about Writers’ Digest’s contest for self-published books. I entered Death by Armoire and WON the genre fiction category. I’m waiting for movie offers and other sorts of acclaim to come my way. Surely, soon. You can find more information about this book and my other books at my website: www.albertbell.wixsite.com/writer. 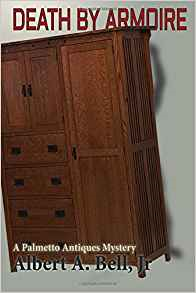 Death by Armoire by Albert Bell Jr. I love everything about my house, but the one part that I would never give up is the front porch. The builders of big old Southern houses like mine, which goes back to 1887, understood the importance of a porch. My house, a joyously gaudy Queen Anne, faces east, with a huge magnolia tree and an ancient oak—and thus very little grass—in the yard, and the porch runs across the front and halfway back along both sides. On the south side there’s a large swing mounted from the ceiling. At the northeast corner the porch bulges out to create a circular area where I have a table and chairs, the same table and chairs my mother had when I was a little girl growing up here. Because of the conical shape of the roof over this area and the black shingles, I dubbed it the Witch’s Hat when I was a child, and the name stuck. It’s the perfect place to eat breakfast on a summer morning, as I did so many times as a child, as I did with my children, and as I was about to do now. But now everything’s different. My children are grown, my mother died eight years ago, my father a year after that, and my cheating ex-husband Troy died a week ago. As I arranged my breakfast on the table, Troy’s companion dog Pepper trotted up the steps and plopped down on his haunches next to me. I gave him the extra slices of bacon I had fixed, and they disappeared in two gulps. Pepper is a five-year-old Gordon Setter. Everybody thinks he’s named Pepper because of his color—the black that’s typical for a Gordon—but his name is actually short for Sgt. Pepper, after Troy’s favorite Beatles’ album. Neither of my children can have a dog in their apartments—and Pepper’s too large for their apartments anyway—so I had to take him in. Gordon Setters are known for their loyalty and good nature. Pepper actually excels Troy in both those categories, but we’re still trying to figure out our relationship. I’ve never been a pet person. My cell phone rang and I cursed myself for putting the thing on the tray when I came out here. Force of habit. It was my agent, Dave Siegler. I wasn’t sure whether he was calling about the book I was supposed to have finished this week or about the proposal he emailed to me on the day Troy died. We had talked once earlier in the week, when I called to tell him about Troy’s death, but we hadn’t discussed business, of course. I guessed he had waited as long as a New York agent could contain himself. Albert A. Bell, Jr discovered his love for writing in high school, with his first publication in 1972. Although he considers himself a “shy person,” he believes he is a storyteller more than a literary artist. He says, “When I read a book I’m more interested in one with a plot that keeps moving rather than long descriptive passages or philosophical reflection.” He writes books he would enjoy reading himself. A native of South Carolina, Dr. Bell has taught at Hope College in Holland, Michigan since 1978, and, from 1994 - 2004 served as Chair of the History Department. He holds a PhD from UNC-Chapel Hill, as well as an MA from Duke and an MDiv from Southeastern Baptist Theological Seminary. He is married to psychologist Bettye Jo Barnes Bell; they have four children and two grandsons Bell is well-known for the historical mysteries of the series, Cases from the Notebooks of Pliny the Younger. Corpus Conundrum, third of the series, was a Best Mystery of the year from Library Journal. The Secret of the Lonely Grave, first in the series of Steve and Kendra Mysteries for young people, won a Mom’s Choice Silver Medal and the Evelyn Thurman Young Readers Award. I learned at a young age my imaginary friends weren't like everyone else's. Mine didn't go away as I got older, for example, and they were always running around in the back of my mind in 'what if' scenarios. In my preteens, I learned to channel them into words and gave them delightful tales to get them out of my head for a while. By the time I was 11, I'd begun to enter adult writing competitions and managed to win a few. Stories of adventure and overcoming all odds held my attention, and I started reading about heroes in mythology. (How can a person ever go wrong with Hercules?) Before long, I couldn't get enough! I spent the next few years reading everything I could find on mythology from all over the world. Then, sometime in my teen years, I discovered Johanna Lindsey and her Fabio-laden book covers. For a while, mythology was all but forgotten as I disappeared into romance. It didn't take long to realize different writers had very different takes on what makes a good romance. Some of them had the classic wilting-flower heroine, while others portrayed women who were adventurous and daring. Eventually, I found Laurell Hamilton and realized both of my passions could exist in a single story. From there, Shadow Pact was off and running. I would soon learn, however, that finding a publisher who was willing to tackle a new no-name writer was far more challenging than writing. 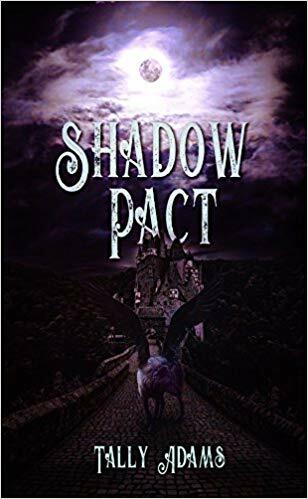 Since my imaginary friends were already stirring and the next book was coming together in my head, I decided to self-publish Shadow Pact and move on in the series. Before I knew it, Amazon wasn't able to keep up with the orders and I found myself needing to produce faster than the print-on-demand model could offer. After a little thought (okay, a lot of thought), I decided to find a small print press in Dallas and have a number of copies made. Brown Books came up on my search for phone numbers and I called them to place an order for distribution. I explained what I needed and why and was told by the receptionist there was someone I needed to talk to. That's when Tom Reale (President of Brown Books) got on the phone. I rattled off my situation and asked for a price on a print run. He started to laugh and said, "I'm not a print press. I'm a publisher, and I want to see this book." The next thing I knew, Brown Books had taken me under their wing and Shadow Pact was released nationally, reaching far more readers than I'd ever dared to hope. 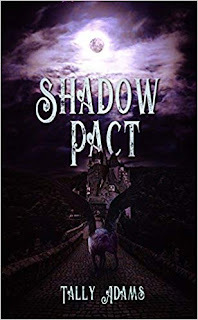 Now, with the backing of a terrific team, Shadow Pact is gaining in popularity and starting to carve a place for the rest of the Immortal Romance Series. For anyone who loves adventure, a dab of magic and a dose of romance, check out Shadow Pact! Tally Adams lives in Texas with her husband and four children (and one big, fat English bulldog). She's been writing all her life, realizing at a young age the characters just swirl around maddeningly in her head if she doesn't put them on paper. She began participating in adult writing competitions before she even hit her teens. Years later, she worked as a nurse and continued to write. Finally, she decided to move forward into the world of publication and share her imaginary friends with the world.